Located adjacent to Brockport Central Schools, SUNY Brockport, Wegmans, and within walking distance of other shopping destinations. 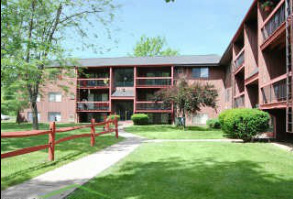 Viking Apartments & Townhomes are the perfect place for you to call home.! You will be just 20 minutes from downtown Rochester. You can take advantage of the direct RTS Bus Service to Downtown located right in front of our property. Viking Apartments & Townhomes offer unparalleled convenience. Many of our spacious floorplans include a private balcony or patio. With so many floor plans we're sure to have one that meets your needs! Our community is set on acres of park-like setting which includes playgrounds, basketball and tennis courts, pools and ponds. Within a short distance are parks, restaurants, movie theaters, shopping malls, and Lake Ontario. 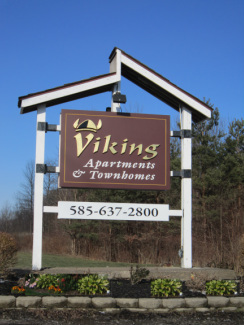 Make Viking Apartments & Towhomes of Brockport your new home today!